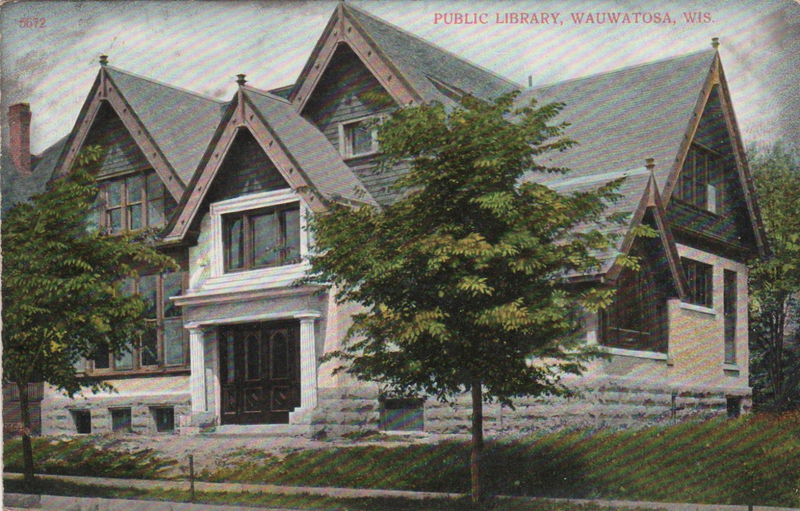 The Public Library in Wauwatosa, Wisconsin in the early 1900s - today it is housed in a much larger, very modern facility. 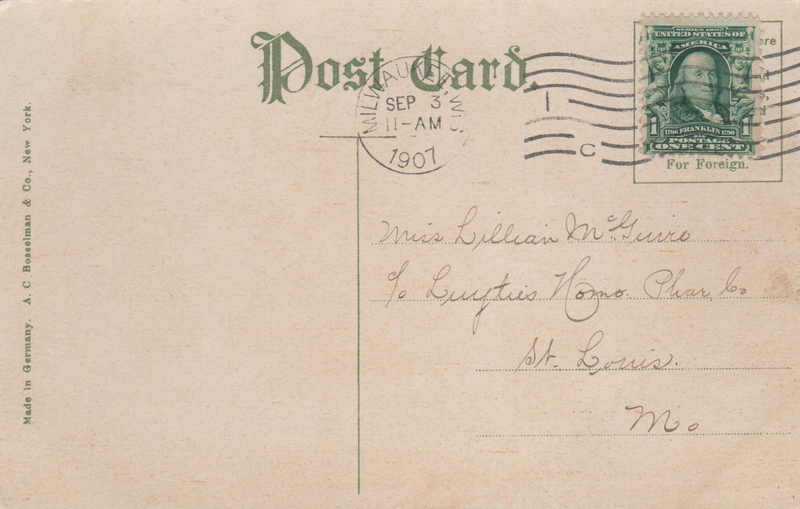 Who sent Miss Lillian this postal with no message? And to her work address no less. Could be from a co-worker, perhaps a traveling salesman? Friend or acquaintance? Your guess is good as mine, unless we can match the handwriting to a postcard with the sender's signature. At least we know that Lillian still has her job! That old library building is so beautiful! If only libraries looked like that today. I agree, it is a gorgeous building! I love that style. It would have been grand to have taken a tour of the inside.